Google announced that its social networking site Google Plus has now reached 170 million registered members and updated with a more functional and flexible version. It is simple, beautiful and focuses more on hangouts. The UI has came with a customizable ribbon of shortcuts on the left which Google refers it to as “dynamic ribbon” and your buddy list moved to right. The quick difference is now add a cover photo to profile page on Google Plus. 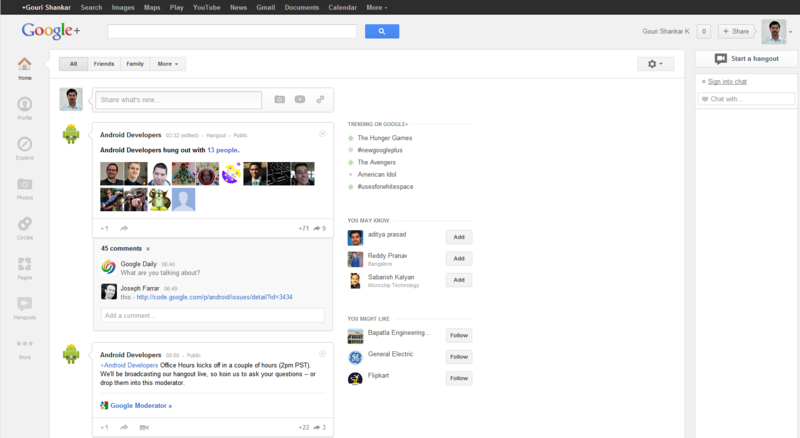 The new Google Plus design will be available to all users over the next few days.